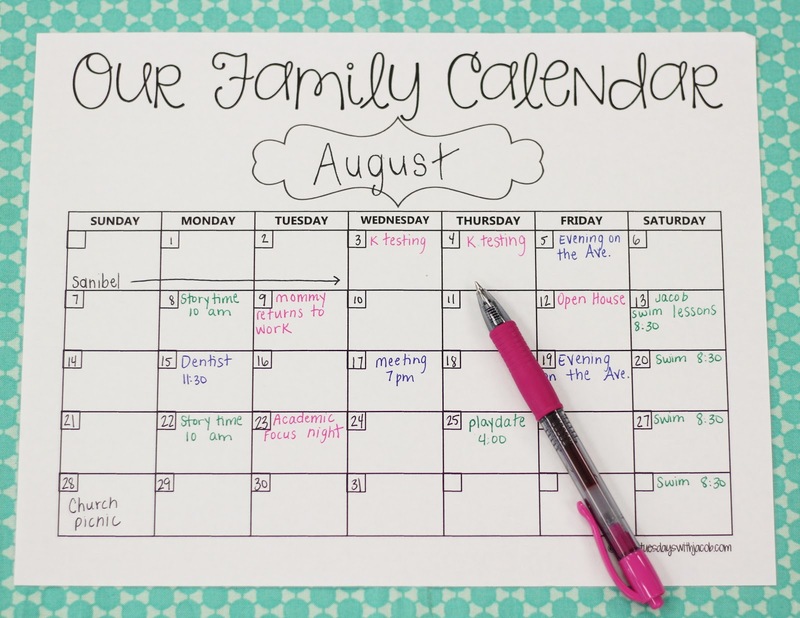 Now that school is back in session our lives are busier than ever. I'm back at work, Jacob is back at daycare, plus we've added swim lessons into the mix on the weekends! Life could not be crazier, but we wouldn't have it any other way. It's super important to me to stay organized and keep everyone's schedules straight so I can try to grasp at the little bits of sanity still hanging around. 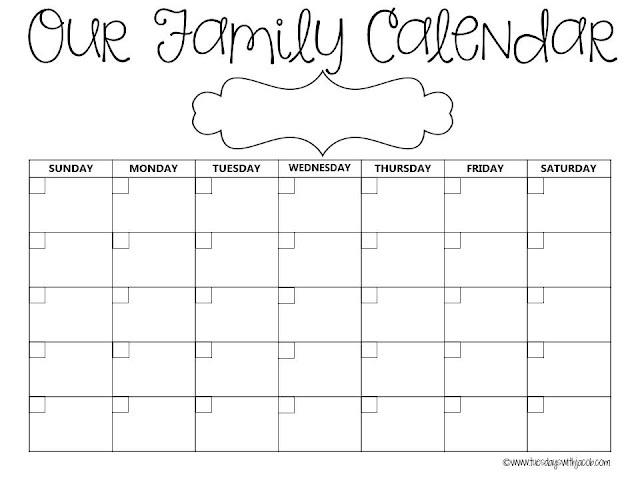 One major way that I do that is by utilizing a family calendar. 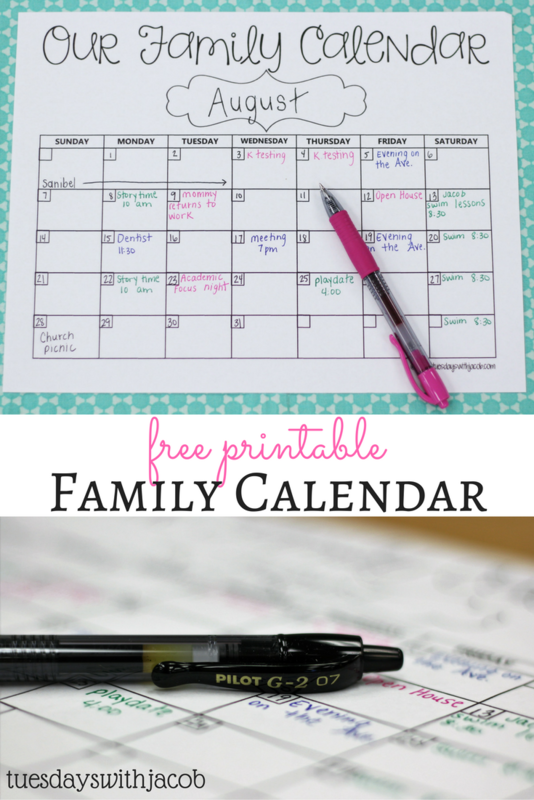 I created a calendar that I fill in each month with the date and days. Then I write in everything we have going on. Each morning I take a quick glance at it hanging on the fridge to check and see what's in store for that day. 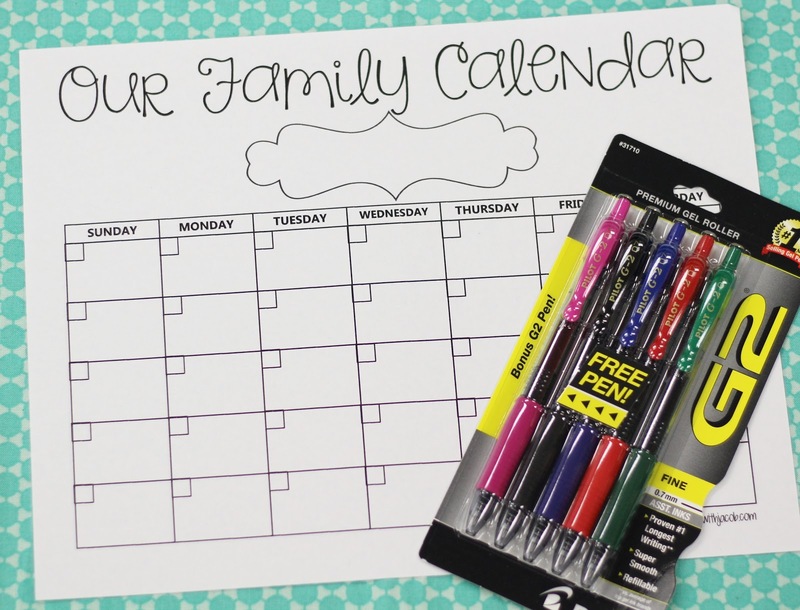 To further organize myself, I use a separate color Pilot G2 pen for each member of our family. My husbands events get written in blue, my toddlers are in green, and mine are in pink. This lets me see at a glance not only what we have that day, but who needs to be there. If it's something for the whole family, I use our standard black. Pilot G2 Pens are the number one selling gel ink brand and it's easy to see why. They glide on smooth with bright, vibrant colors. They come in a whole myriad of colors, including gorgeous metallics! 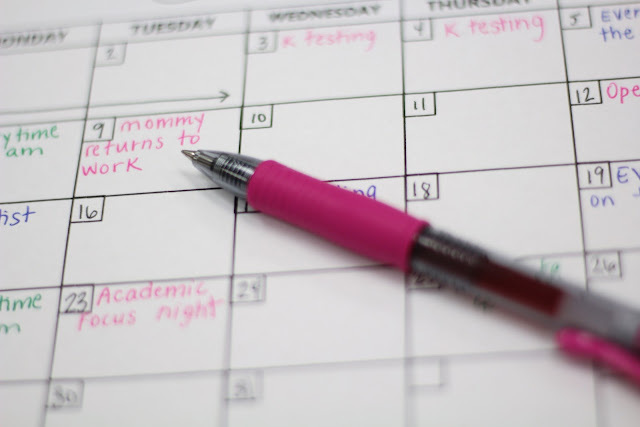 The Pilot G2 has been proven to write longer than other brands, which is important for busy moms who don't have time to run to the store when ink runs out! 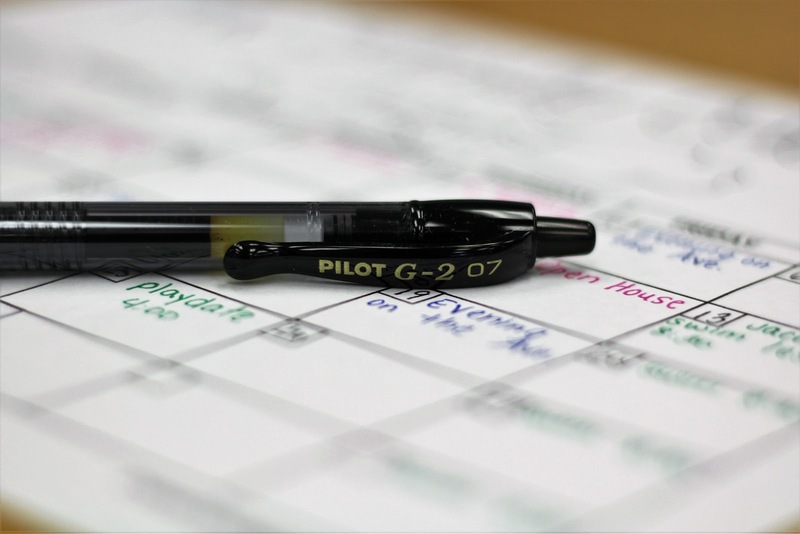 Right now Walmart has an awesome coupon on Pilot G2 pens: Save $0.75 cents when you purchase any 4-pack of larger! If you'd like to keep your family organized with the Pilot G2 you can download the family calendar I created by clicking on the picture below! And here's a handy pin! 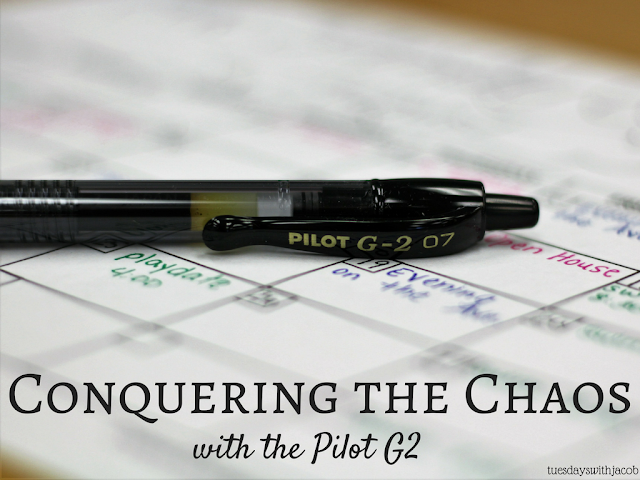 4 comments on "Conquering the Chaos with Pilot Pens"
I don't think I have used a pen that is smoother than a pilot. I did not know they were selling them in colours now. Looks like I need to make a trip to the stationary shop and try them for myself.